This spoon is hand carved from a beautiful piece of cherry wood. 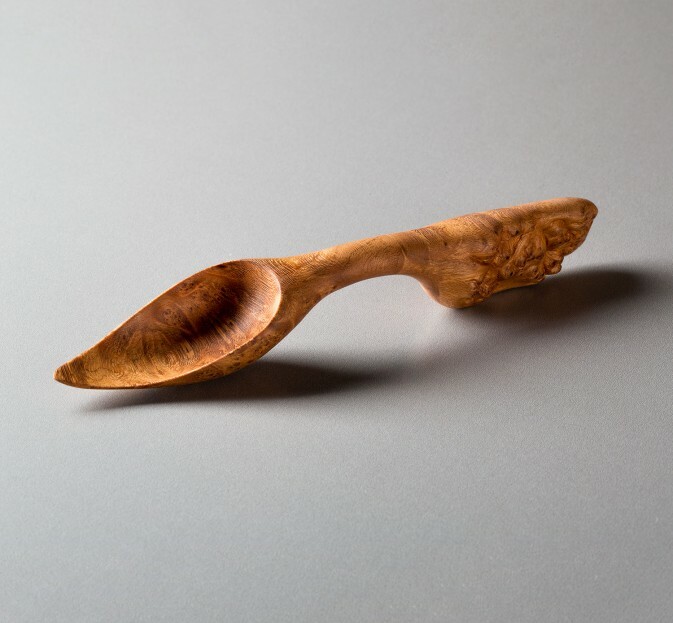 At about 5.75 inches long, this small functional spoon makes a perfect scoop or serving tool and is as attractive on display as it feels in the hand. As Terry’s story goes, this spoon did not turn out as planned. 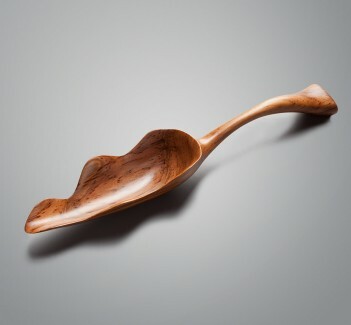 While leveraging a screwdriver into a dark sap line that ran through the burl, the wood split wide open taking off the top half of where the bowl was supposed to be, leaving behind the nice texture that is now the handle.